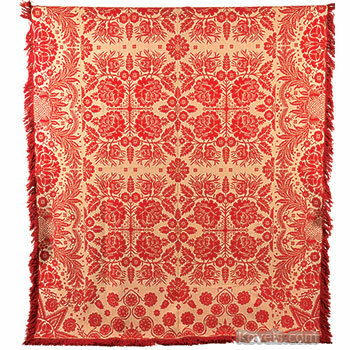 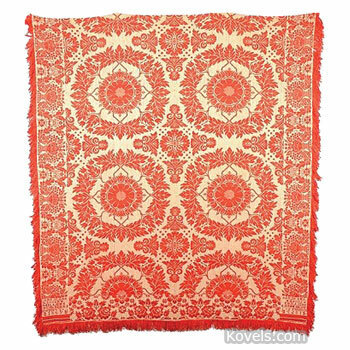 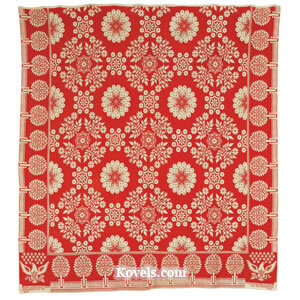 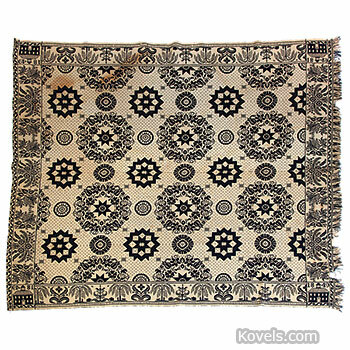 Coverlets were made of linen or wool during the nineteenth century. 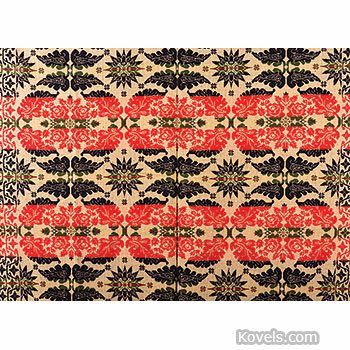 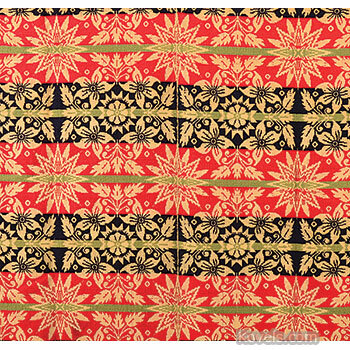 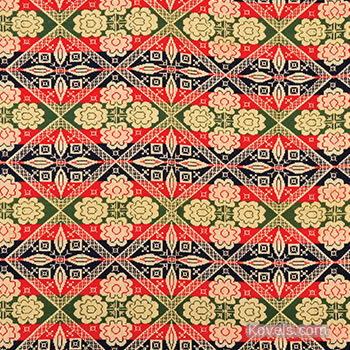 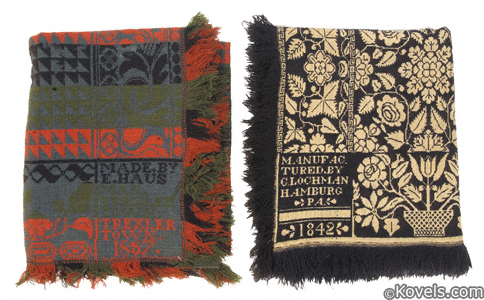 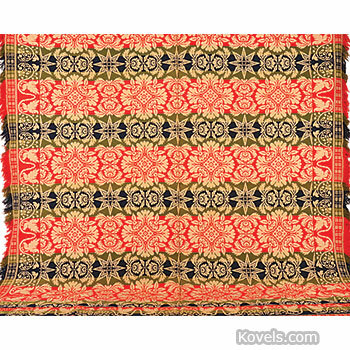 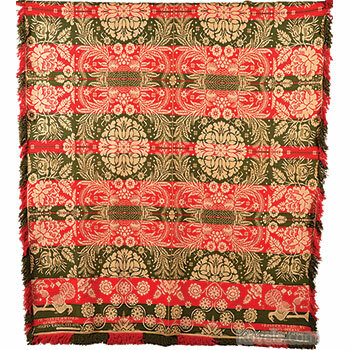 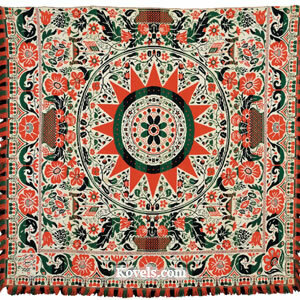 Most of the coverlets date from 1800 to the 1880s. 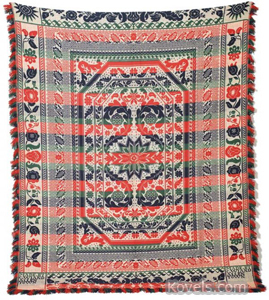 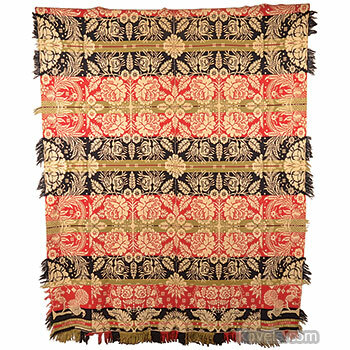 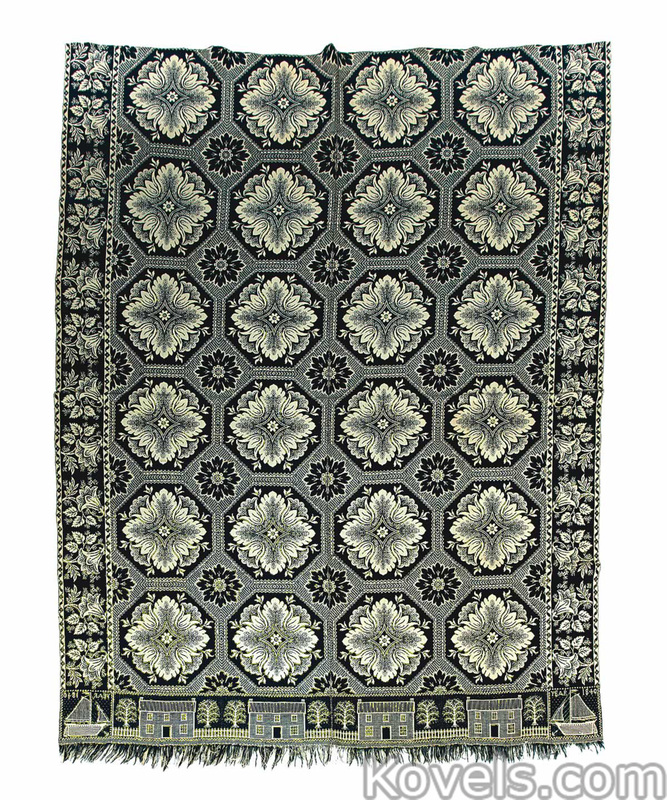 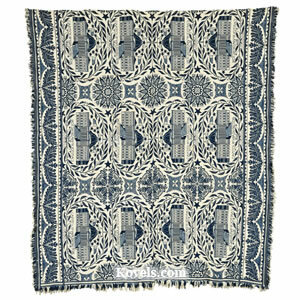 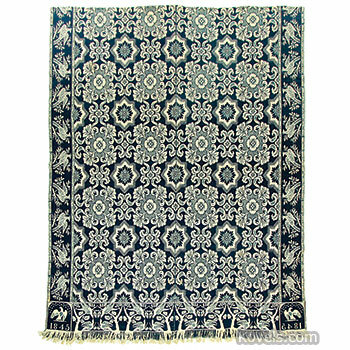 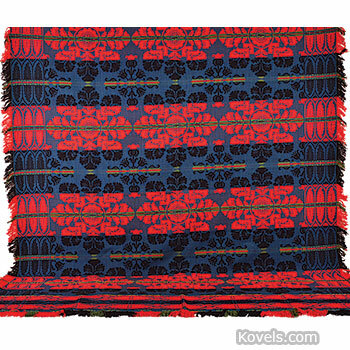 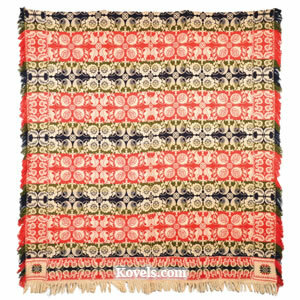 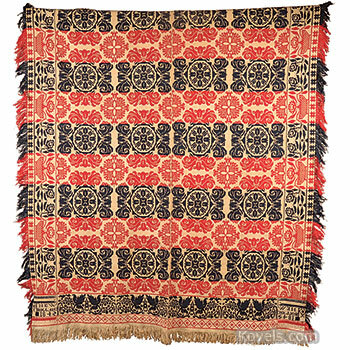 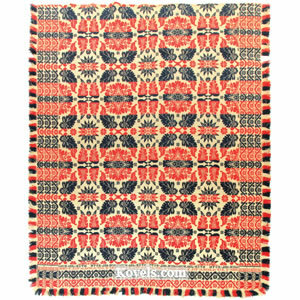 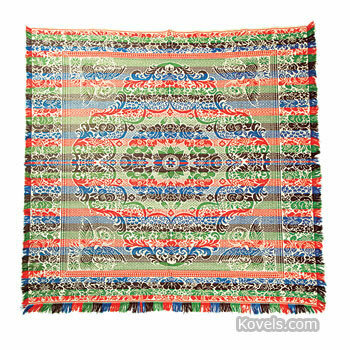 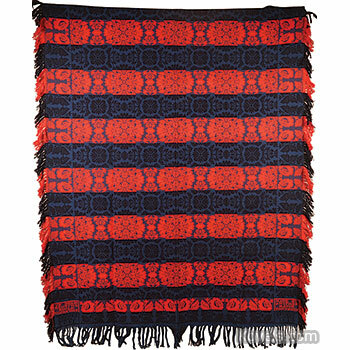 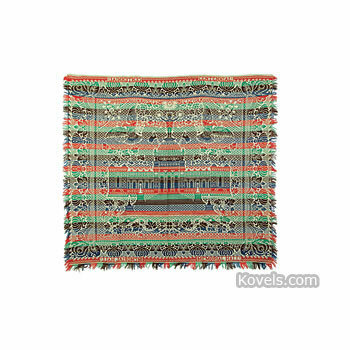 There was a revival of hand weaving in the 1920s and new coverlets, especially geometric patterns, were made. 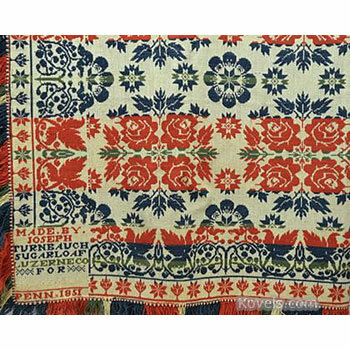 The earliest coverlets were made on narrow looms, so two woven strips were joined together and a seam can be found. 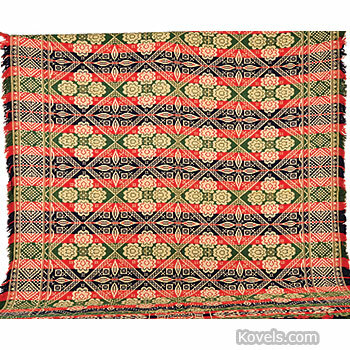 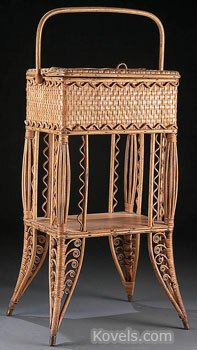 The weave structures of coverlets can include summer and winter, double weave, overshot, and others. 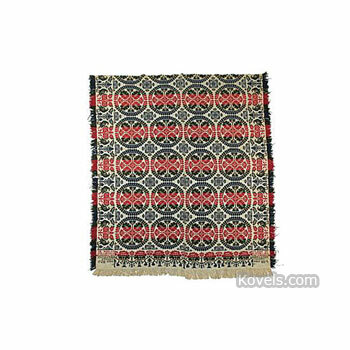 Jacquard coverlets have elaborate pictorial patterns that are made on a special loom or with the use of a special attachment. 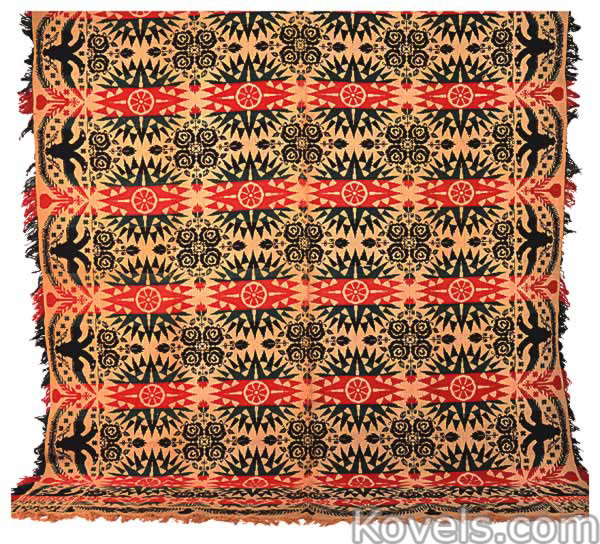 The name of the weaver, sometimes the name of the owner, the county or city where the owner lived, and the date the coverlet was made were often woven into a corner block or along the border of the coverlet. 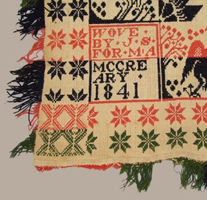 Makers often wove a personal message in the corner. 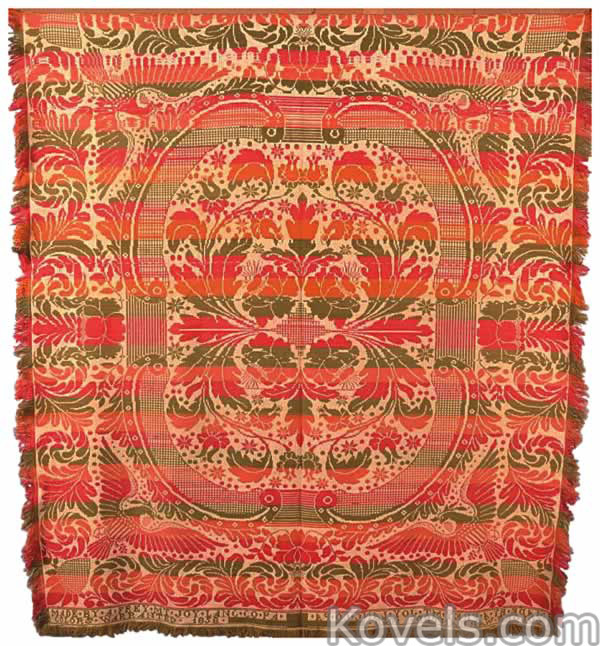 Quilts are listed in their own category.